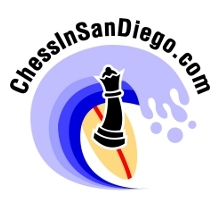 There are a few options for purchasing chess supplies around San Diego. Game Empire in Clairemont Mesa carries a fairly wide selection of gear, including clocks and sets. At Ease Games on Miramar Rd. has a selection of boards and clocks. Those in North County can find a decent selection of items at Pair A Dice Games in Vista, CA, including digital clocks and tournament standard sets. To acquire used equipment, one option is to keep an eye on San Diego Craigslist by searching for the keyword chess in the for sale listings on CraigsList. The San Diego Chess Club, the San Diego Chess Academy, and the Mountain Lake Chess Camp all have options for purchasing supplies through them, and should be contacted for additional details on purchases. If you are willing to wait for delivery, ordering gear online is a great option, and the prices are often better than what you can find in person. 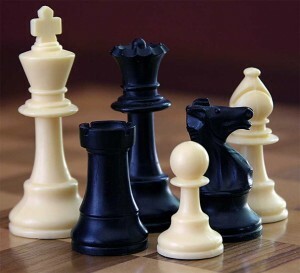 Wholesale chess carries a very wide selection of chess pieces, boards, clocks, bags and more, and they guarantee their prices. Another option for online chess supply shopping is ChessHouse, which also has a very large catalog to choose from that includes a wide range of chess books and chess software. Amazon.com is a huge online store that is know for being a bookseller, and you can indeed find thousands of chess books there. These days, however, you can also buy almost anything you’d like there, including pretty much any chess supply you can think of. Not a v. gd chess player. Just looking for a CD which will play me at various levels and give me a hint option and an undo option so I can learn as I go. Can anyone offer me one that it not too expensive? I live near the civic center in Downtown San Diego and take the bus. The San Diego Central Library at 330 Park Blvd. has weekly Friday chess meet from 3-5 pm. It’s free. Thanks so much for mentioning Game Empire here. We love stocking our chess supplies and regularly order tournament sets and clocks. We carry all levels of sets from camping size to premium sets. Game empire update, I just called right now and they do not carry Chess Clocks. Several years I bought a correspondence ring binders, about 8″h x 6″w from USChess, I think. It looked kind of like medium brown leather, and contained about 12 laminated pages with chess boards printed on them. The pieces were about 7/8″ x 1/8″ with a sticky cloth top edge that acted as a hinge. the hinge made it easy to reposition the pieces while making moves. Does anyone know if this product still exists, or where to acquire something similar. I have a brand new chess set made of rosewood if anyone is interested. Please contact me via a post here if you are interested. It is brand new, never opened. House of Staunton brand. Thanks! ICC - The Internet Chess Club. Serious chess. Serious fun! Chess in San Diego | Powered by Mantra & WordPress.